Kuala lumpur airport transfer to city center-Tourism in Kuala Lumpur, the capital city of Malaysia has grown rapidly in recent years. This has largely been attributed to unique natural attractions and diverse culture of Malaysian people. Currently, Kuala Lumpur has two main airports situated in Sepang, approximately 35km south of central business district (CBD). The Kuala Lumpur international airport (KLIA) is the main international airport in Malaysia while the Kuala Lumpur international airport 2 (KLIA2) caters for budget airlines such as the Malaysian Air Asia, Singapore Tiger Airways, Philippines Cebu Pacific air and the Indonesia Lion Air. The good thing is that both KLIA and KLIA2 are located Sepang which are close to the city center. This means that it will take you a short period of time to get to the city center. You can also use public transport, which is well organized and very efficient to get to the city center. Public transport can be accessed within the airport vicinity and will take you to the KL Sentral, which is a one stop transport center. The KL Sentral is also the largest station not only in Malaysia but across the Southeast Asia. This is the place where all long distance trains depart from. That is why it is popularly referred to as the integration point of urban rail based system. It comprises of the KLIA express, KTM komuter, LRT, KLIA transit and monorail system. Inside the KL Sentral system, you will find the KL city Air terminal which is basically an extension of the KLIA. Services offered here include luggage check in for passengers of Cathy Pacific, Flying MAS, Royal Brunei Airlines and Emirates. The KLIA Ekspres is connected to the city center by major bus services and expressways. The KLIA can be accessed through ground transportation. However, we recommend that you use the KLIA express train services because it is fast and convenient. The trip will take you approximate 30 minutes to arrive at KLIA and approximately 33 minutes to arrive at KLIA2. The KLIA express operates at 15 minutes interval during rush hours and 20 minutes during off peak hours. You can access this train at the level 1 and will take you to LK Sentral C. The trip will cost you RM55 while to and fro trip will cost you RM 100. Once you get to the KL Sentral, it will be easy to find transportation to take you to your preferred destination. Popular forms of transportation available here include LRT, KTM Komuter, taxi and monorail. The KL transit also connects passengers from KLIA and KLIA2 to KL Sentral at RM 55. The advantage of using KL transit is that it makes several stop overs, which makes it convenient for passengers who don’t want to go all the way to the city center. The fact the train makes 4 stops including Bandar Tasik Selatan Putrajaya, Cyberjaya and Salak Tinggi means that the journey will take more time. The best and most convenient way to travel between the two major airports and the city center is by using transit airport train A. this train has high speed Wi-Fi, grab bars, spacious language storage compartments and very comfortable seats with plenty of space. Fare and time duration for KLIA varies depending on the station that you are travelling from. For instance, it will take you 16 minutes reach KLIA and 20 minutes to reach KLIA2 from Putrajaya station. One way fares are RM9.40 per adult and RM 4.20 per child. In addition to that, each station is actually fitted with a self-service kiosk and a main counter for added comfort and convenience to the passenger. However, it is important to note that the self-service kiosk only accepts credit card payment but if you use it, then you will get 10% discount when you purchase your train ticket both KLIA Eskpres and KLIA transit can be accessed at the level 1 at the main terminal building of KLIA. KLIA2 station. On the other hand, KLIA2 can be accessed at level 2 of gateway at the KLIA2 shopping mall. The size of KLIA and KLIA2 are wide and you can easily get lost especially if you are using it or the first time. They are high traffic areas with plenty of people coming in and out. As a results, it can be very difficult to access a taxi or public transport. That is why usually advice our clients to book for airport transfer at Kuala Lumpur in advance before they travel so that they don’t get disappointed when they get to travel. If you are planning to book taxi transfers, then you will not regret if you book it at Mr orange transfer. We are a reputable transfer company that offers, comfortable, safe and reliable ride both to and from the airport. As a well-established transfer service in Kuala Lumpur, we have wide network of partners worldwide meaning that no matter where you are located, we will offer reliable and comfortable taxi transfer to and from the airport. Our many years of experience in this industry has enabled us know which taxi transfer service are reliable and which ones are not. When you book KLIA taxi transfer through us, we will connect you with trustworthy and reliable taxi service that will give you quality services that you will be impressed with. You will get details about the company, the driver as well as the car that will carry you. We will give you all information that you need so that you know exactly what to expect. In addition to that, the driver will also receive your contact details meaning that it will be easy for you to connect with the driver. This is very important because you can easily communicate with the driver in case your flight delays or if you want to know where exactly the driver will pick you from when you arrive at the Kuala Lumpur airport. Mr orange transfer is not only convenient to book for taxi but will also help you save your precious time. You will not have to worry about huge queues when you arrive at the Kuala Lumpur airport. Our team is on standby by ready to help you. We will provide direct transfer connection from the airport to your preferred destination point as well as around the city center. As a reputable door to door service, we are committed to ensure that you get a smooth, enjoyable and safe ride from the airport to your preferred destination with least effort. When you choose us to handle your airport transfer, you can sit down and relax because your transportation will be handled by a professional taxi transfer service. 1. Before getting to Kuala Lumpur, you are advised to find the information below via this site: http://orange-transfer.com/track-your-trip/. All information will be updated only 24 hours ahead of your arrival date. Upon arrival in Kuala Lumpur airport, walk to the designated position as shown in our confirmation letter. There, you will meet our driver. In case you are unable to see our driver (this has never happened before), we strongly suggest you try the following procedure to get in touch with us. We will do our best to solve your problem on the spot. Kuala Lumpur, the Malaysian capital is a popular tourist destination in Asia because of its unique attraction sites and diverse culture. It is one of the few cities in Asia that contains a blend of old colonial buildings that shows the colonial past and modern skyscrapers that shows the country thriving economy. Some of the landmarks that Malaysia takes pride of include the PETRONAS towers, which used to be the world’s tallest building and still remains the tallest in Southeast Asia. This iconic building provides a good aerial view of the city. In addition to that, Kuala Lumpur is the only city in Southeast Asia that has a blend of Malay, Chinese and Indian culture. In addition to that, this diverse city also referred to as the sizzling street food and there is a good reason for that. You will be spoiled by huge variety of delicious meals that you will come across. In fact, your biggest headache will be which food option to choose from. While walking around the lively street markets and colorful streets you will frequently find yourself caught in between a unique aroma and fresh Asian foods. In addition to that, Kuala Lumpur is also centrally located. This means that it is very easy to travel to other popular tourist attraction cities like the Malacca and Penang from Kuala Lumpur. Mr orange transfer is a reputable car rental company that has specialized in connecting passengers with reliable, comfortable and affordable taxi rides. If you are looking for a local car rental service that will connect you with reliable taxi in Kuala Lumpur, then choose us and we promise not to disappoint you. We will not only help you find a taxi service that will give you services that you are looking for but we will also connect you with a taxi service in Kuala Lumpur that will give you quality service according to your budget. Booking through our website is very easy. All that is required is you to follow a few simple steps. That’s all. You can book from anywhere, including from your home or office. Once you make your booking on Mr orange transfer, we will send you message to confirm your booking the moment we find your perfect match. We will match you with a car that is suitable for you. 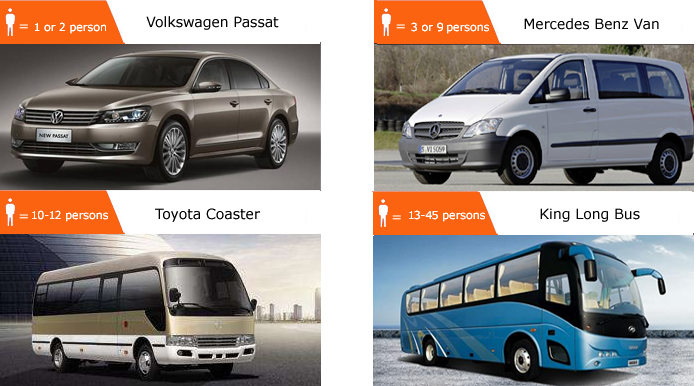 We can send cars such as a minivan, minibus or a sedan. All that you need to do is inform us the number of people who will be traveling as well as the number of suitcases that you will travel with. We will make sure that everything that you have fits perfectly on the car that we will give you. If you are traveling with your kids, worry not because we have cars that have child friendly seats. Mr orange transfer has built a huge network worldwide and has partnered with many stakeholders around the globe. We have all necessary resources needed to give you quality airport transfer services that you are looking for. Therefore, when you choose us for your airport transfer in Kuala Lumpur, then you can relax because you will be in safe hands. We also offer our services in Alicante, Mumbai and Brussels. We have been offering taxi transfer services for many and we understand this industry more than anybody else. We understand the needs of our clients and that is why we usually offer them taxi transfer services that meets their individual needs. When you choose us, then we promise to give you quality transfer services that you are looking for. Our main goal is to ensure that you have smooth transfer both to and from the airport. We always put our clients first because we value them so much. We are in this business courtesy of you. That is why we always strive to ensure that we connect you with safe, comfortable and reliable ride. Our team in always on standby ready to serve you. Regardless of the time of the day or night that you order for taxi service, our team will deliver as per your expectations. We only work with reputable companies that takes good care of their cars. We always ask for customer feedback and if they are not impressed with the ride, then we will remove that car from our list. Safety and comfort of our clients is our main priority. We always ensure that you get value for your hard earned money. We have been in this industry for long and we have establish huge network on the process. Regardless of the time of the day or night you book for taxi, you can be sure that a taxi will be sent to come and pick you. Our drivers are spread all over the city and are on standby waiting for your call. Our main aim as a reputable transfer service is not to make huge profits at the expense of our clients. Instead, we are here to help you get to and from the airport in the safest and most convenient way. That is why we offer our taxi transfer services at very affordable prices. We don’t hike our prices without any solid reason as it is usually the case with our competitors. We charge very competitive price because our main aim is to help you move with ease in Kuala Lumpur. If you are planning to visit Kuala Lumpur, book our airport transfer now by clinking this link Mr orange transfer. We promise to help you move with ease in this amazing city.